"The profiler would not shake hands with the priest." The profiler, an expert psychologist, was taunting the suspected priest from that first moment, tempting him into blowing up and confessing. A brilliant profiler can completely control a situation and can assess a person so well--often from the evidence alone, before even meeting them--that the profiler can know a murderer on sight. I just saw this yesterday. It sounds like a good story. I like the premise of this book a lot. The opening made me wonder why the profiler wouldn't shake the priest's hand, so I'd read more to find out. Good choice for today's post. My Friday post is from THE WHISKEY BOTTLE IN THE WALL. Love it....the cover is enough to get me interested. This looks great! 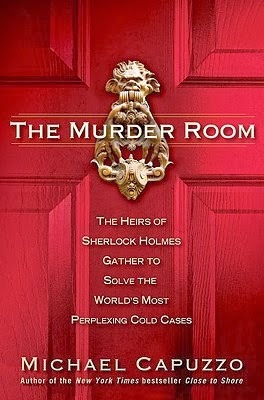 I'm still trying to get through all the Conan Doyle books, but I am in a Sherlockian mood these days, so may branch out. I blame Benedict Cumberbatch. Thanks for joining in on BBOF! Here's to a new year of more good books!